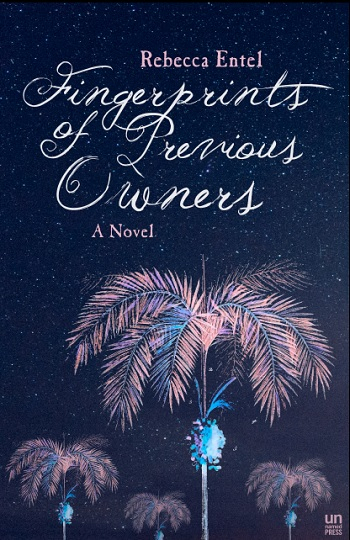 Rebecca Entel’s first novel is Fingerprints of Previous Owners (Unnamed Press, 2017). Her short stories and essays have appeared in Guernica, Joyland Magazine, Literary Hub, Electric Literature, Cleaver Magazine, The Madison Review, and elsewhere. 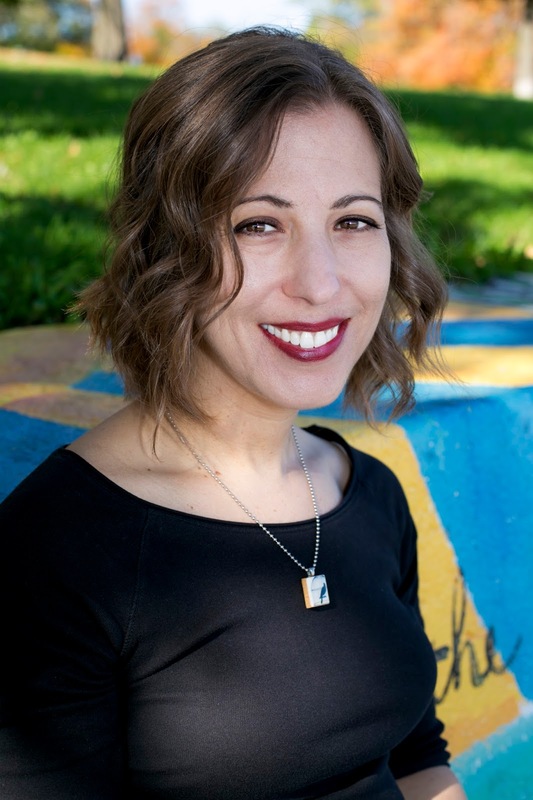 Rebecca is an Associate Professor at Cornell College, where she teaches multicultural American literature, Caribbean literature, creative writing, and the literature of social justice. She holds a Ph.D. in English from the University of Wisconsin and a BA in English from the University of Pennsylvania. Rebecca grew up in Cleveland and currently lives in Iowa City. Maybe it’s part of my process to imagine having better writing days than I actually have. In my mind’s eye, there I am at my desk or on the couch or at a table in the library, fingers flying as I produce and produce and produce. It’s much harder to be inside that body I’m imagining watching from afar – to be the one staring at the screen, resisting the click-away temptation of the internet, believing in what could come next. I had been writing and teaching writing for many years before publishing Fingerprints of Previous Owners. Part of my process in writing that first novel was seeing if I could, in fact, even finish one. I got to travel many times for this project, which takes place at a Caribbean resort built over the ruins of a slave plantation. I even learned how to use a machete to reach those ruins for my research. But most of my time was spent staring at the screen, feeling frustrated. I’d spend too much time trying to get the conditions right for becoming the writer that existed in my mind, and then when I actually sat down to write, I’d feel fundamentally not up to the task. Those images of watching myself writing prolifically had become one more weight getting in my way. The only way I seemed to get anything done was when I tricked myself into writing, by using all the tricks I’d counseled my students to use when they were feeling stuck. Two of these tricks had a major impact on the development of the book. What’s something you know about that your readers may not? A grad professor of mine once recommended we think about this question, finding something unique to describe that might inject some energy. Posing it to myself, I thought back to learning how to use that machete. I’d been taught it was a tool of gravity, not of force. No matter how strong you were, hacking away wouldn’t do much good. You need a sharp blade and the right angle, then let gravity do its job. I began free-writing about this and discovered a voice that belonged to Myrna, the book’s main character, who was secretly excavating the ruins. The machete became thematically important, too, since Myrna didn’t have much power, physical or otherwise; she had to be sharp and find the right angle to get where she wanted to go. What will you learn if you free-write from a minor character’s perspective? I advise my students to find multiple ways to jump away from the main thrust of their stories. This particular exercise isn’t necessarily about writing material to be included in the text; it’s about the writer discovering new information. On the days I felt most stuck, I let myself write short narratives from the perspectives of minor characters in my protagonist’s community. I learned a ton about the island’s history, more than my narrator could know, and much of it allowed me to add texture to the fictional island I was creating, where what does not get talked about fuels Myrna’s machete adventures. That secretive aspect of the book hedged me in because I couldn’t reveal anything beyond Myrna’s perspective, which, combined with the typical limitation of the first-person narrator, and her intense focus on her excavations, isolated her character from friends and family. Some of these free-writing exercises eventually became parts of the book in which I let other characters speak. These characters never would have come to life if I hadn’t let myself experiment with their voices. In talking to readers, I’ve learned how important these side stories were to their reading experience. They needed these breaks from Myrna’s perspective. So perhaps my feelings of being mired in the writing was actually a clue into what my readers might feel, too. I wouldn’t have finished Fingerprints if I hadn’t relied on these tricks to help me stop thinking about the to-be-finished Fingerprints. I hadn’t thought of the various exercises I offer students as necessarily related before, but I came to see that many of them focused on relieving writers of the pressure of writing a book – distracting writers from that larger aim so they could write something. In speaking with other writers, particularly students, I’ve also been reminded how helpful it is to hear writers speak honestly and practically about what their processes were before their books were ever books. Connect with Rebecca at her website, on Twitter, Facebook, and Instagram. She is teaching an online novel writing workshop for Catapult beginning in June. Great post. Loved these practical tips. Thank you.